Many sellers are leaving their buyers naked! They are getting them excited about their solutions and then letting them go off unprepared to their senior management colleagues looking for approval. Typical sales proposals fail to provide buyers with the basic undergarments in terms of the justification required for the buying decision. That increases the risk of a stalled deal, even a lost sale. The problem is that as sellers we have been slow to realize that the role of our sales pitches and proposals goes well beyond selling our solution. They must also help the buyer to get the purchase, or project sanctioned. …they must also help the buyer to get the purchase, or project sanctioned. With this in mind here is the real test of the powerful sales proposal: can the buyer use it to get the purchase approved? More to the point, can he, or she present it directly to his, or her senior management colleagues to justify the purchase decision? We call this the Naked Buyer test. 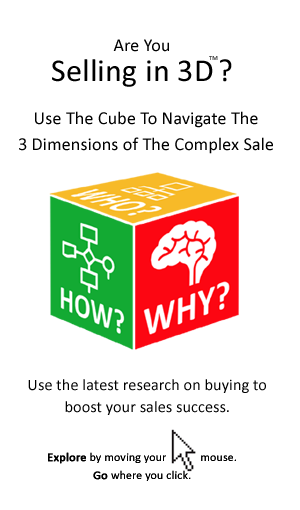 Why Do Proposals Leave Buyers Naked? Why are buyers being left naked, in spite of the many pages in proposals and other documentation provided by the seller? Well, the problem is sales documentation has long been focused on the secondary, as opposed to the primary decision for the buyer. That is the two levels of naked. Buyers tell us time and time again that choosing a supplier is not the most difficult part of the decision. Their biggest challenge is to wrestle scarce resources for their project/purchase and guard against competing priorities, budget cuts, or politics. That is the primary decision! …wrestle scarce resources for their project/purchase and guard against competing priorities. The primary decision is to go ahead and to go ahead now. It is the decision to spend the money on this, as opposed to something else. Everything else is secondary. But, this is not where most sales proposals focus. For the buyer getting caught naked – without the required information and analysis and unable to answer the questions or objections that arise – at this level is the most embarrassing. It is also the most damaging, it could result in the purchase being stalled, or even scrapped. The reason why deals get stalled is not because the buyer cannot choose another supplier, but because he, or she fails to get the decision sanctioned, or the resources allocated – resources for which other purchases, projects, or departments may be competing. So it is that selecting a supplier is in many cases only a secondary decision. It must be preceded by a decision to go ahead with the project, or the purchase in the first instance. Yet it is former and not the later that most sales proposals seek to influence. They focus on the secondary ‘why choose us?’ decision, as opposed to answering the more fundamental ‘why do it?’ question. 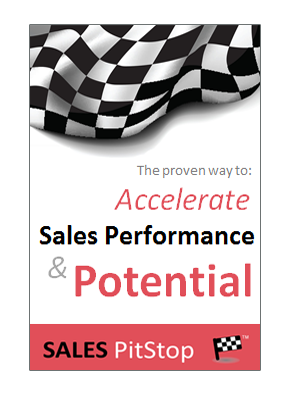 …sales proposals focus on the secondary ‘why choose us?’ decision! The failure of sales proposals to help the buyer get the decision sanctioned means that most sales proposals are helpless to prevent buying decisions getting stalled. If the seller is to be certain of winning the sale the sales proposal must help the buyer to get the go ahead for the purchase, or project – that is decision one. That is a tall order for the salesperson’s proposal and it is exactly what the Naked Buyer test above is all about. Why Can’t Proposals Get Approvals? Why can’t buyers take the seller’s proposal and use it to get the purchase decision sanctioned? That is a question we have asked of both buyers and sellers. Some sellers suggest that the typical proposal is too long for the buyer to put in front of their colleagues to get the decision approved. But, if that is the reason then surely the buyer could take the executive summary and use it to get the decision sanctioned. That means there must be another reason. Other sellers will simply say that their proposals were not written for the purpose of getting the purchase sanctioned. Little wonder then that buyers are not using them for that purpose! That is the point about buyers being left naked in terms of the information required to make the decision and to get it approved. …their proposals were not written for the purpose of getting the purchase sanctioned. The buyer is likely to take some of what is in the seller’s proposal, but a lot of what it contains is not the stuff that gets the decision sanctioned. But, if that is the case then there is something wrong with the way that sales proposals are written. The seller’s proposal must present a compelling rationale for the purchase, counter all the potential objections that are likely to be raised and answer the questions that are likely to arise. If it does not then it is a case of ‘the emperor has no clothes!’. It does not matter how well-written, or glossy they are. …present a logical and compelling argument for the solution – one that is capable of withstanding scrutiny. The seller’s proposal has to demonstrate how the solution will help the buyer to achieve the results that his, or her business, project, or team requires. Put another way it has to demonstrate a compelling business case – that is a compelling case for buying. That is required either to help the buyer to decide, or if a decision has already been made to justify it. Show the impact on the key relevant business/project performance metrics. Demonstrate a compelling cost-benefits analysis. Address the issue of risk in all its forms (supplier risk, technical risk, etc.). Show the purchase fits with other decisions, goals, strategies, etc. Address the issue of compliance. If it does not then it is the equivalent of the buyer being caught with his, or her trousers down.